This edition is a combination of the fifth edition by Dudgeon (the 1893 revision) with the sixth edition by Boericke. Essentially, one can see the changes that Hahnemann made to the text of the fifth edition. An appendix outlines all the changes made from the fifth to the sixth edition. 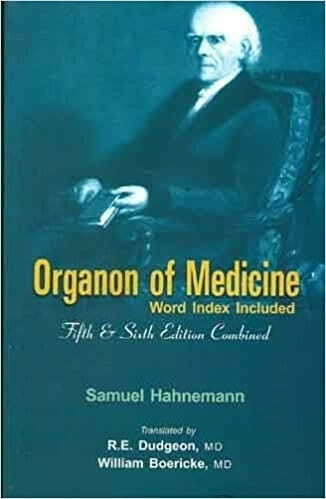 Of all the published editions this remains the favourite, since it clearly shows the changes in Hahnemann's thinking as some paragraphs in the fifth edition were modified and others completely rewritten. This edition offers both versions interposed. The combined fifth and sixth edition of the Organon presently available in the market was typesetted around 100 years ago. The modern reader finds it difficult to read and go through the book. So, here is the upgraded edition with added features. We hope this new upgraded combined fifth and sixth edition of the Organon will make the task of students and practitioners easier and much more interesting.